Tea Party themed birthday’s are a very fun activity for girls of all ages. 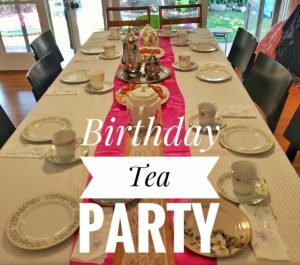 This tea party was for my 5 year old daughter going on 6. I set aside 1 hour for the girls to have their tea party. The tea party consisted of eating, playing games, making crafts and drinking “tea”. The rest of the time at the party, the girls spent playing and running around. The tea party did take a little bit of shopping to gather all the items needed. 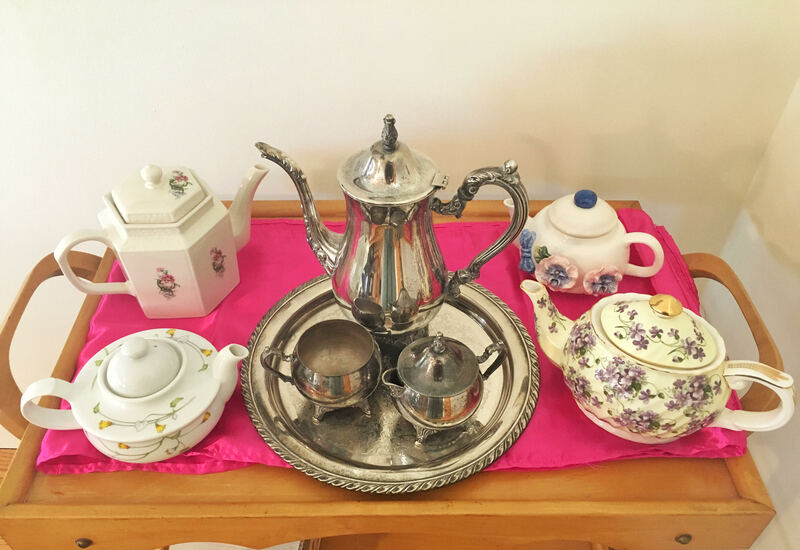 After various trips to Flea Markets, Goodwill, Target’s $5 and under area and the Dollar Tree, I had everything I needed for a fun tea party. At the start of the tea party, I had all the girls dress up in their “tea party outfits”. 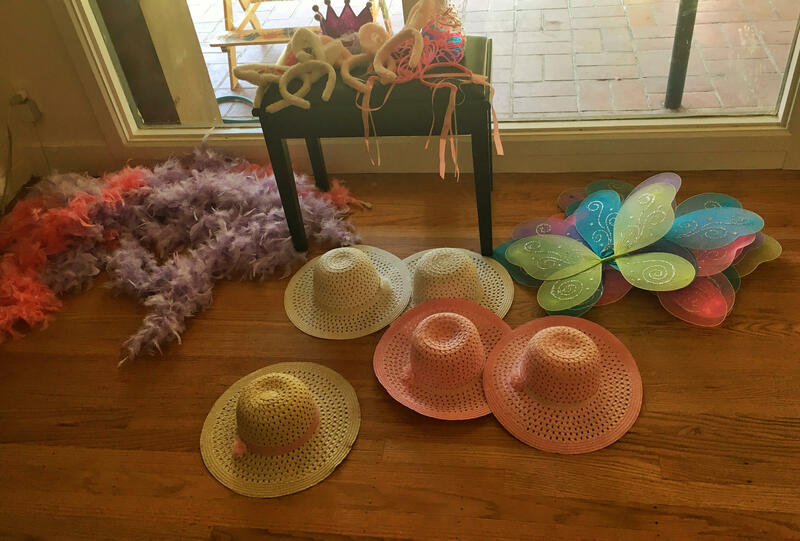 At The Dollar Tree, I found boas, butterfly wings and crowns. Then at Target I got some Easter hats and bunny ears. The girls put on their “outfits” prior to the tea party starting. During the tea party, we played kids trivia games. My daughter has a set of “Dinner Card Questions” that we used. The cards had stuff like, “Guess What Fruit I’m thinking of?” and “What Profession do you want to be?”, etc. The girls got into the questions and enjoyed the game. Once they finished their sandwiches, the girls made edible candy necklaces. 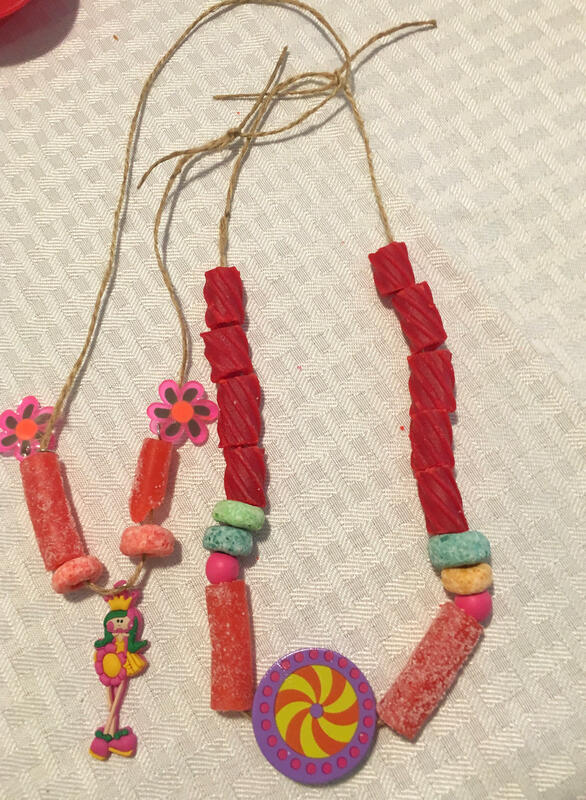 I bought Fruit Loops, Cheerios, Red Vines, and some other candies with holes in them and the girls design pretty/yummy necklaces. See more about this craft here. After the “tea party” was over, the girls spent the rest of the time running around the backyard. I bought bubbles, chalk, and some balls for them to entertain themselves with. 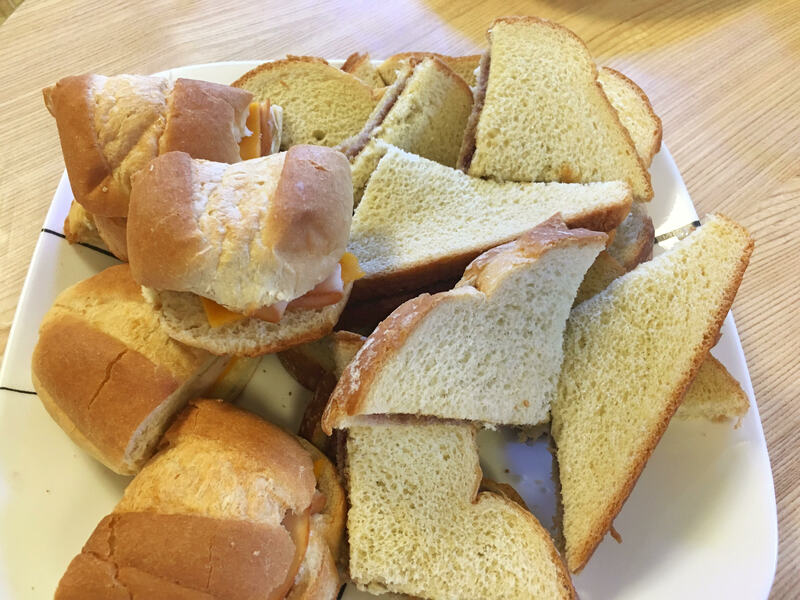 No tea party would be complete without little sandwiches and cookies to snack on. I served finger foods such as pretzels, strawberries and blackberries. For the “tea” I filled the tea pots with pink lemonade and fruit punch. Myself and the other Moms went around serving the girls food and tea at the table. I made purple and pink paper flowers to add some colors to the walls, for instructions and the cut out on how to make them go here. 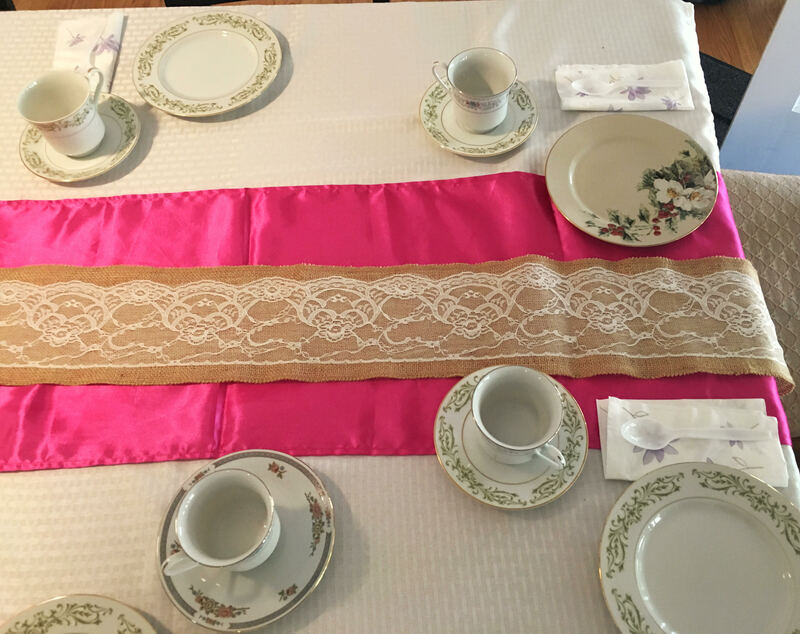 For the table, I had a white table cloth with a hot pink table runner and a laced burlap runner over that. I setup the table with real dishes and tea pots that I borrowed from my Mom and Grandmother and the rest of the dishes all came from Goodwill ($.99 each) and Flea markets. Goodwill and Flea markets have TONS of dishes. I had all different pattern dishes for the girls. For the goodie bags, I had my daughter help design something for her friends. 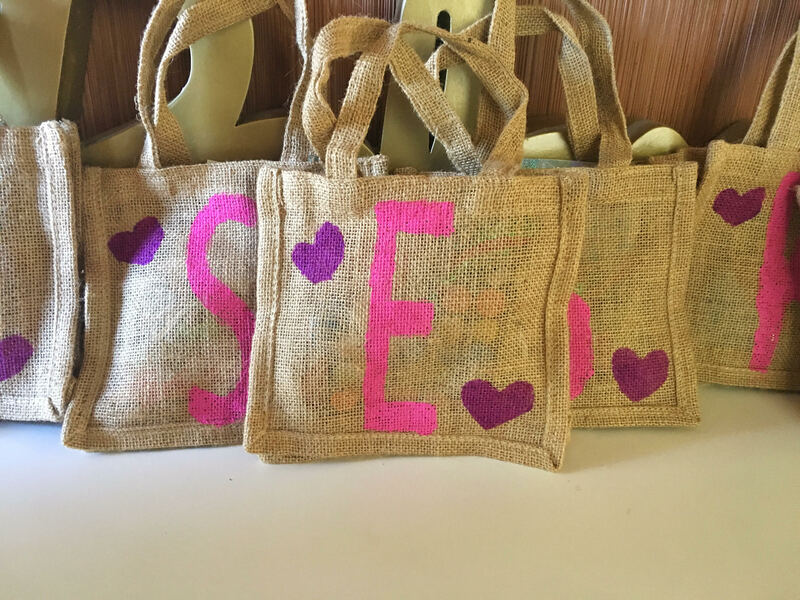 I painted each girls first initial and two hearts on some burlaps bag that I found online. 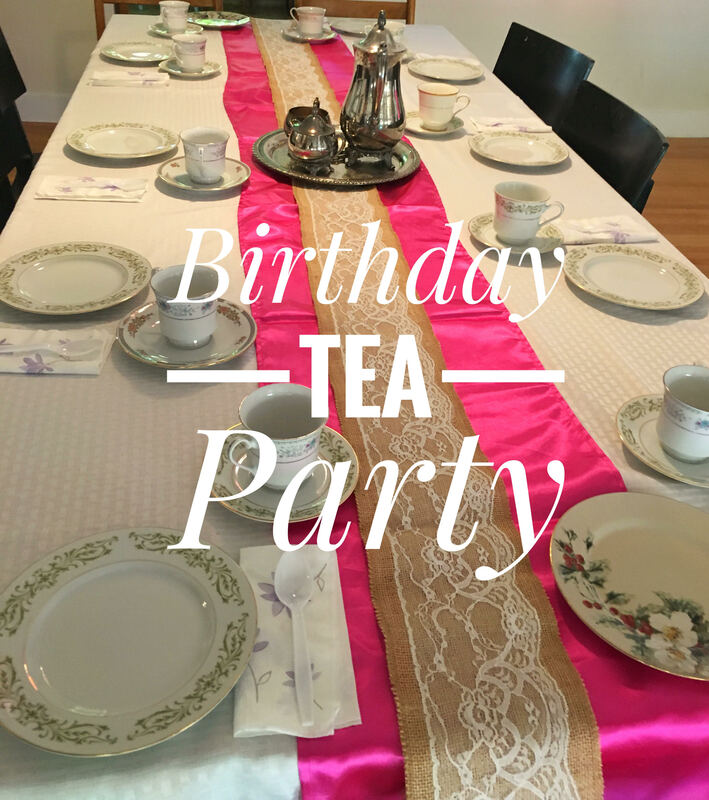 The tea party was a great event for the girls and I would highly recommend it for a party theme. The girls loved drinking their “tea” from real tea cups and dressing up for the party.